Real estate project websites have never been more important than they are today . This first impression of your project often determines if a prospect comes back or registers for more information. But before these prospects even get to your website, they need to be able to find you. Search engine optimization (SEO) is an important component to a real estate marketing professional’s strategy. In many cases, home builders and developers turn the website optimization over to their web developers and/or an SEO company. This is okay, but it’s important to have an understanding of how you can make a difference and contribute positively to improving your position in search. It’s all about being on page 1 on search engines! 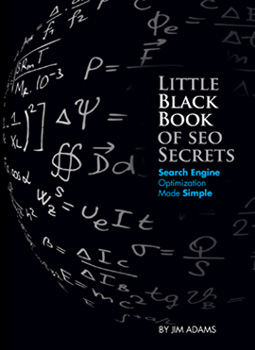 Jim Adams, CEO of NewHomesDirectory.com has written a book called ‘Little Black Book of SEO Secrets – Search Engine Optimization Made Simple’. All the SEO tactics presented in his book have been accepted, endorsed, and recommended by all major search engines, and will stand the test of even the most discriminating human reviewer. Included are helpful tips as well as things that you should avoid. For example, having well thought out title tags on each webpage is an important part of a website strategy. But at the same time, it’s important to always avoid having pages with the same title tag, as well as just having your company name in the title tag. Read the book to learn why! Jim has laid out the book in an easy to read, concise format that will get you on your way to understanding search and what you need to do to get your project website found!